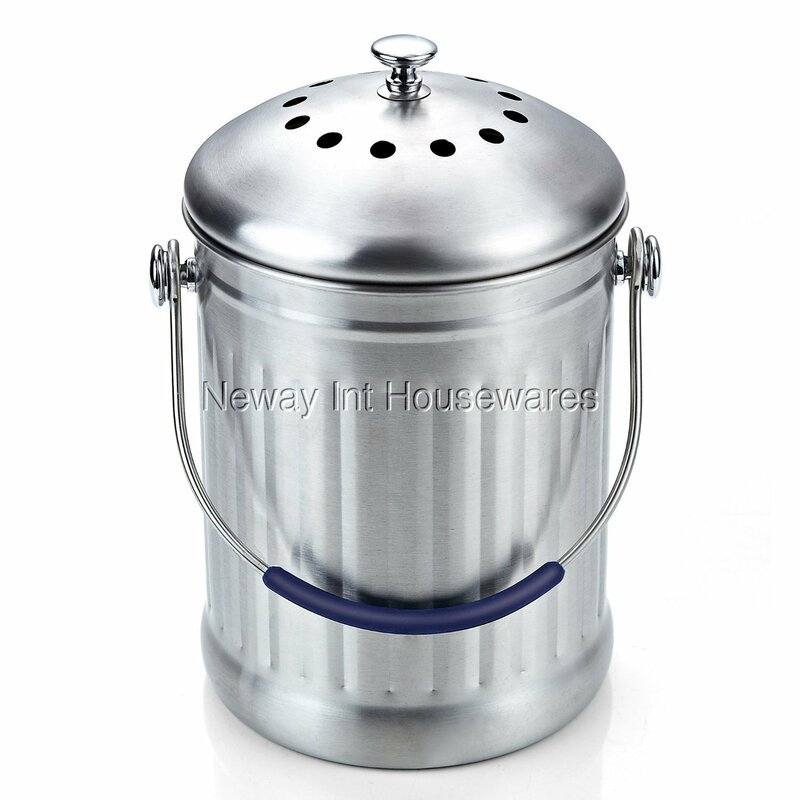 The Cook N Home 1 Gallon Stainless Steel Kitchen Compost Bin with Charcoal Filter is made with brushed stainless steel to match kitchen design. Natural charcoal filter under lid minimizes odor and is best changed every 6 months. Metal handle with a soft silicone wrap for comfort. Stainless steel is neutral and does not react to most foods. 1 gallon size fits easily on most countertops/kitchens.